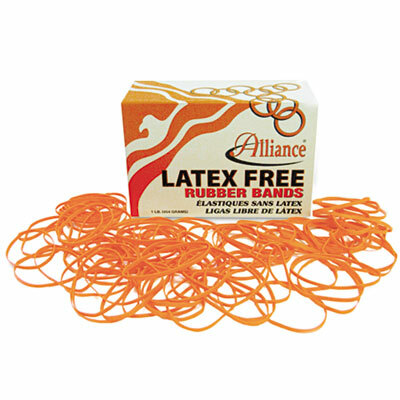 100% latex-free bands are made from synthetic rubber and contain no natural rubber proteins to protect users from latex allergy reactions. Soft stretch which helps protect against Carpal Tunnel Syndrome. High quality product in bright orange color sets them apart for easy identification. 100% latex-free bands are made from synthetic rubber and contain no natural rubber proteins to protect users from latex allergy reactions. These bands have a soft stretch which helps protect against Carpal Tunnel Syndrome. High quality product in bright orange color sets them apart for easy identification. HUB Compliance or by NMSDC as a minority-owned business or is affiliated with AbilityOne.